Introduction | What Is Science? | What Is Psychology? more comprehensive article over this one: "Building Science." Update: When this article first appeared in 2003 it was seen as rather controversial. Since then, because of increased public awareness and due to a number of scandals in the field of psychology, this article's position has moved substantially toward being the prevailing view among scientifically educated people, including Allen Frances, chair of the DSM-IV task force, who has recently written a book that makes the same points made here, and Thomas Insel, director of the National Institute of Mental Health, who has begun to take a similar view of the scientific standing of psychiatry and psychology. With respect to the DSM, one of this article's topics, Frances recommends that people no longer use or teach this "Bible" of psychological practice, while Insel and the NIMH intend to phase out the DSM by developing alternative diagnostic and treatment methods based on biological causes rather than psychological symptoms. Because this article is directed toward educated nonspecialist readers considering psychological treatment, students of psychology are cautioned that terms such as "psychology," "clinical psychology" and "psychiatry" are used interchangeably, on the ground that they rely on the field of human psychology for validation, in the same way that astronomy and particle physics, though very different, rely on physics for validation. The field of human psychology is a powerful force in modern society, and its influence is widespread – in language, law, the social contract, and in our perception of ourselves. Because legal decisions are sometimes made based on psychology, decisions that might cause someone to be incarcerated or freed, it is important to establish whether psychology is a science or a simple belief system. We should determine whether psychology can be relied on to objectively support the social and legal policies that are based on it. In modern times, such a serious public burden can only be borne by a field that is based on reason, on science. Which leads to our question: is human psychology steered by science? In order to consider whether psychology is a science, we must first define our terms. It is not overarching to say that science is what separates human beings from animals, and, as time goes by and we learn more about our animal neighbors here on Earth, it becomes increasingly clear that science is all that separates humans from animals. We are learning that animals have feelings, passions, and certain rights. What animals do not have is the ability to reason, to rise above feeling. Science's goal is to create reasonable explanations (theories) to describe reality – theories that rely, not on feelings or passions, but on evidence. Science defines “evidence” in a special way that will seem rather strict to someone only familiar with the legal definition. To science, evidence is gathered and evaluated (and sometimes discarded) according to some rigid rules, rules meant to assure that a scientific theory reflects reality to the best of our ability. In an embarrassing and tragic number of cases, innocent people have been placed on death row (and sometimes executed) based on evidence that, notwithstanding the innocence of the convict, met the “beyond a reasonable doubt” standard, when evaluated by a jury of 12 upstanding citizens, people whom we shall charitably assume paid no mind to the color of the defendant's skin. Relatively recently, new ways of gathering evidence – like DNA testing – have proven the innocence of a fortunate few death-row inmates, and others who might have gone unpunished have been arrested. The point here is that legal evidence is not remotely scientific evidence. Contrary to popular belief, science doesn't use sloppy evidentiary standards like “beyond a reasonable doubt,” and scientific theories never become facts. This is why the oft-heard expression “proven scientific fact” is never appropriate – it only reflects the scientific ignorance of the speaker. Scientific theories are always theories, they never become the final and only explanation for a given phenomenon. About scientific evidence, philosopher David Hume said, “No amount of observations of white swans can allow the inference that all swans are white, but the observation of a single black swan is sufficient to refute that conclusion.” This saying aptly summarizes the difference between scientific evidence and every other kind of evidence, and it dramatizes the difference between science and ordinary human thinking. This very strict evidentiary standard is essential for science to provide its riches, and it is no problem for people who have been properly educated. But in the lives of people for whom “evidence” means “he said, she said,” certain problems are inevitable. This example highlights a cardinal rule of science: Always consider alternative explanations, never accept anything at face value. In everyday life, people are regularly taken in by con men who rely on public ignorance of reason and science. Here's an example – you receive a mailing from someone who wants to be your financial advisor. He predicts that the stock market will fall (or rise) during the next month. At the end of the month, his prediction turns out to be correct. Then, for six months straight, he mails you a prediction, and each prediction turns out to be correct. In a quick calculation you realize you would have made several million dollars by following his advice. Having “proven” his abilities, the financial advisor now wants you to give him control of your portfolio. His is the best performance you have ever seen, he obviously has special skills, what do you do? Well, hopefully you follow the cardinal rule: Always consider alternative explanations. At the beginning of the six-month period, the "wizard" mails a prediction to a list of 16,384 people. He tells half the people the market will rise, the other half that it will fall. At the end of the first month, he drops half the names from the list (those who got an incorrect prediction) and mails a new prediction to the remaining names. He repeats this procedure for six months, each month dropping half the names and keeping those that got a correct prediction. At the end of six months, he has a list of 256 very hot prospects, each of whom has gotten a seemingly miraculous run of correct predictions, each of whom might just sign up for his "services," each of whom is about to be swindled. These 256 "marks" (the con-man term for someone about to be “serviced”) must either consider alternative explanations, or they stand to lose a lot of money. And very important: for those who decide to accept the con man's services, their decision is perfectly reasonable when based on everyday perceptions. Just like many of the claims of the practitioners of clinical psychology, and to someone unable to think critically, it is perfectly reasonable, and it is wrong. Apart from being filtered through all possible explanations, scientific theories have another important property – they must make predictions that can be tested and possibly falsified. In fact, and this may surprise you, scientific theories can only be falsified, they can never be proven true once and for all. That is why they are called “theories,” as certain as some of them are – it is always possible they may be replaced by better theories, ones that explain more, or are simpler, or that make more accurate predictions than their forebears. Psychology has as its aim the understanding of human behavior, and as a secondary goal, the treatment of behaviors deemed abnormal. Almost immediately upon the formation of the field, efforts were made to place psychological studies on a scientific basis. Early psychological studies were conducted by Wilhelm Wundt at the University of Leipzig, Germany. One of his students, G. Stanley Hall, then went on to establish the first American psychological laboratory at Johns Hopkins University. Then, in 1900, Sigmund Freud introduced psychoanalytical theory in his book “The Interpretation of Dreams.” This was the first ultimately large-scale effort to apply psychological knowledge to the problem of treatment or therapy. If you want to study the behavior of rats or pigeons, there are no significant ethical limitations – you can kill them, you can cut them up, you can dress them out in EEG probes while they play violent video games, no one will complain. They are expendable, they are animals. But as to the study of human beings, there are severe limitations on what kinds of studies are permitted. As an example, if you want to know whether removing specific brain tissue results in specific behavioral changes, you cannot perform the study on humans. You have to perform it on animals and try to extrapolate the result to humans. One of the common work-arounds to this ethical problem is to perform what are called “retrospective studies,” studies that try to draw conclusions from past events rather than setting up a formal laboratory experiment with strict experimental protocols and a control group. If you simply gather information about people who have had a certain kind of past experience, you are freed from the ethical constraint that prevents you from exposing experimental subjects to that experience in the present. But, because of intrinsic problems, retrospective studies produce very poor evidence and science. For example, a hypothetical retrospective study meant to discover whether vitamin X makes people more intelligent may only “discover” that the people who took the vitamin were those intelligent enough to take it in the first place. In general, retrospective studies cannot reliably distinguish between causes and effects, and any conclusions drawn from them are suspect. Think about this for a moment. In order for human psychology to be placed on a scientific footing, it would have to conduct strictly controlled experiments on humans, in some cases denying treatments or nutritional elements deemed essential to health (in order to have a control group), and the researchers would not be able to tell the subjects whether or not they were receiving proper care (in order not to bias the result). This is obviously unethical behavior, and it is a key reason why human psychology is not a science. Blurring of research, diagnosis and therapy. This blurring is a problem in mainstream medicine as well as psychology, but it has a more severe form in psychology and psychiatry. It is more severe mostly because of the above ethical limitations, which preclude formal, strict scientific study on human subjects. As a result, ordinary clinical therapeutic treatments are actually (potentially) a mixture of the three items listed above –research, diagnosis and therapy. If the treatment is routine and uneventful, it is clinical therapy, which most people realize is entirely ineffectual in any case (i.e. with an outcome scientifically indistinguishable from speaking to a bartender or your favorite uncle). If the client shows traits useful for diagnosis, the treatment ipso facto becomes diagnostic. If the interplay between the clinician and the client produces a novel, seemingly useful cause-effect relationship, the treatment becomes research. This clinical opportunism is another reason psychology has the reputation it does – very little distinction exists between gathering knowledge and dispensing knowledge. This raises another ethical issue, that of informed consent. Has the client been properly informed as to the nature of the procedures — will the sessions consist of research, diagnosis, therapy, or some mixture? But there is no remedy for this problem, because the clinician can't tell the client what is going to happen, because he doesn't know, and he is certainly not going to resist publishing any interesting, unforeseen results as research findings. The items listed above inevitably create an atmosphere in which absolutely anything goes (at least temporarily), judgments about efficacy are utterly subjective, and as a result, the field of psychology perpetually splinters into cults and fads (examples below). “Studies” are regularly published that would never pass muster with a self-respecting peer review committee from some less soft branch of science. During World War I, psychologist R. M. Yerkes oversaw the testing of 1.7 million US Army draftees. His questionable conclusions were to have far-reaching consequences, leading to a 1924 law placing severe limitations on the immigration of those groups Yerkes and his followers believed to be mentally unfit – Jews and Eastern Europeans in particular. Yerkes later thoroughly recanted his methods and findings in an 800-page confession/tome that few bothered to read, and the policies he set in motion had the dreadful side effect of preventing the immigration of Jews trying to escape the predations of Hitler and his henchmen later on. The original test results happened to dovetail with Yerkes' explicit eugenic beliefs, a fact lost on nearly everyone at the time. In an effort to answer the question of whether intelligence is primarily governed by environment or genes, psychologist Cyril Burt (1883-1971) performed a long-term study of twins that was later shown to be most likely a case of conscious or unconscious scientific fraud. His work, which purported to show that IQ is largely inherited, was used as a “scientific” basis by various racists and others, and, despite having been discredited, still is. 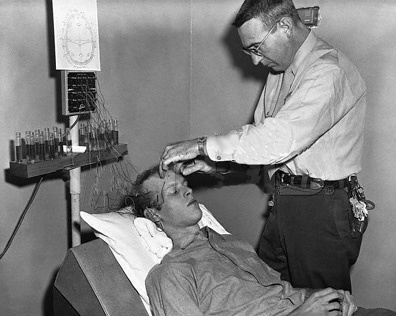 In the 1950s, at the height of psychology's public acceptance, neurologist Walter Freeman created a surgical procedure known as "prefrontal lobotomy." As though on a quest and based solely on his reputation and skills of persuasion, Freeman singlehandedly popularized lobotomy among U.S. psychologists, eventually performing about 3500 lobotomies, before the dreadful consequences of this practice became apparent. At the height of Freeman's personal campaign, he drove around the country in a van he called the "lobotomobile," performing lobotomies as he traveled. There was plenty of evidence that prefrontal lobotomy was a catastrophic clinical practice, but no one noticed the evidence or acted on it. There was — and is — no reliable mechanism within clinical psychology to prevent this sort of abuse. These examples are part of a long list of people who have tried to use psychology to give a scientific patina to their personal beliefs, perhaps beginning with Francis Galton (1822-1911), the founder and namer of eugenics. Galton tried (and failed) to design psychological tests meant to prove his eugenic beliefs. This practice of using psychology as a personal soapbox continues to the present, in fact, it seems to have become more popular. What these accounts have in common is that no one was able (or willing) to use scientific standards of evidence to refute the claims at the time of their appearance, because psychology is only apparently a science. Only through enormous efforts and patience, including sometimes repeating an entire study using the original materials, can a rare, specific psychological claim be refuted. Such exceptions aside, there is ordinarily no recourse to the “testable, falsifiable claims” criterion that sets science apart from ordinary human behavior. This bogus field sprang into existence, fueled by the wish that specific disabled (autistic, severely retarded) people might be able to communicate with their loved ones after all. It purports to allow communication with a disabled person through the agency of a facilitator, someone who typically holds a writing implement (or operates a keyboard) simultaneously with the disabled person, and the two together create a written account of the disabled person's otherwise inaccessible experiences. Frequently, the “communication” seems to reveal that the disabled person is being abused horribly by parents or caretakers. This in turn has resulted in bogus legal actions, spurred by prosecutors who think psychology is a science. Was this set of beliefs tested and shown to be flawed in a scientific study? No. Was it called into question because of the utterly fantastic content of the “communications”? No again. How then was the fraud uncovered? Well, the PBS television program “Frontline” showed up and taped some typical clinical practice, revealing some aspects of the practice anyone not brain-damaged should have been able to notice, such as the fact that the disabled person was often looking at the ceiling while supposedly coöperating in keyboard communication, a behavior that requires one to look at the keyboard at least occasionally. The facilitator, of course, was looking intently at the keyboard. And finally, after evidence of the bogus nature of both the practice and the communications was demonstrated, was the field abandoned? Of course not – it is still widely practiced, with the difference that TV cameras are now typically excluded from the clinics. In this variation on the above bogus practice, talk-therapy clients are guided to “recovering” repressed memories, typically of horrible childhood abuse, sexual and otherwise. And, like the above practice, these “recovered memories” sometimes cause people to be jailed for vivid, if imaginary, crimes. In this case, unlike the above, over time the frequency and implausibility of the actionable claims ruined everything for the eager practitioners, and most clients later decided they were talked into the “memories” by the therapist. There have been a number of lawsuits by disgruntled former clients, and wrongly convicted people have been freed. But, just as in the case of “facilitated communication,” science played no role in either the creation or destruction of this aberration, this fad. Science played no part in the creation of either field, although properly designed experiments could have been used at the outset to prove that both fads were not remotely what their advocates claimed. And science had little role to play in the later debunking, because psychology is only coincidentally addressed by science. Some may object that the revolution produced by psychoactive drugs has finally placed psychology on a firm scientific footing, but the application of these drugs is not psychology, it is pharmacology. The efficacy of drugs in treating conditions once thought to be psychological in origin simply presents another example where psychology got it wrong, and the errors could only be uncovered using disciplines outside psychology. An explanation, a theory, allows one to make a prediction about observations not yet made. A prediction would permit a laboratory test that might support or falsify the underlying theory. The possibility of falsification is what distinguishes science from cocktail chatter. This doesn't mean psychology lacks theories. It means the theories, when applied to humans, either cannot be tested in a scientifically rigorous way, or the tests fail without anyone noticing or caring. This explains why psychology's frequent theoretical failures tend to be discussed in a courtroom rather than a laboratory or a scientific journal. As with most professions, scientists have a private language, using terms that seem completely ordinary but that convey special meaning to other scientists. For example, when a scientist identifies a field as a "descriptive science," he is politely saying it is not a science. One might think the dismal history of psychology and the recent revolution in psychoactive drugs might cause more than a few psychologists to wonder whether their field means anything at all. But the absence of a scientific foundation for psychology means that, like religion, it can prevail in the face of overwhelming evidence that it has no fixed, testable content. This seems an appropriate time (and context) to comment on psychology's “bible”: the Diagnostic and Statistical Manual of Mental Disorders and its companion, the International Classifications of Diseases, Mental Disorders Section (hereafter jointly referred to as DSM). Now in its fourth edition, this volume is very revealing because of its significance to the practice of psychology and psychiatry and because of what it claims are valid mental illnesses. Putting aside for the moment the nebulous “phase of life problem,” excuse me? – “Sibling rivalry” is now a mental illness? Yes, according to the current DSM/ICD. And few are as strict about spelling as I am, but even I am not ready to brand as mentally ill those who (frequently) cannot accurately choose from among “site,” “cite” and “sight” when they write to comment on my Web pages. As to “mathematics disorder” being a mental illness, sorry, that just doesn't add up. Psychiatrist Matthew Dumont wrote this about DSM's pretensions to scientific authority: "The humility and the arrogance in the prose are almost indistinguishable, frolicking like puppies at play. They say: '...while this manual provides a classification of mental disorder...no definition adequately specifies precise boundaries for the concept...' [APA, 1987]...They go on to say: '...there is no assumption that each mental disorder is a discrete entity with sharp boundaries between it and other mental disorders or between it and no mental disorder' [APA, 1987]." It goes without saying that these buried qualifiers do nothing to reduce the apparent authority of this volume among its advocates. Based on this table and extrapolating into the future using appropriate regression methods, in 100 years there will be more than 3600 conditions meriting treatment as mental illnesses. To put it another way, there will be more mental states identified as abnormal than there are known, distinct mental states. In short, no behavior will be normal. Those who created the DSM intended to standardize diagnostic criteria, so that two clinicians similarly trained, when confronted by the same patient, would be able to use the DSM's guidance to produce the same diagnosis. This ambitious goal, had it been achieved, would have greatly improved the image of psychology as a science. But, notwithstanding the DSM's gradual increase in size and weight, this goal is as remote as ever. Even many of those charged with responsibility for creating and editing the DSM acknowledge that it is not the hoped-for validation of clinical psychology's standing as a science. Tom Widiger, who served as head of research for DSM-IV, says "There are lots of studies which show that clinicians diagnose most of their patients with one particular disorder and really don't systematically assess for other disorders. They have a bias in reference to the disorder that they are especially interested in treating and believe that most of their patients have." And, because of clinical psychology's supposed status as a science, the patients don't typically object to the diagnosis they are given. Indeed, some of them embrace the diagnosis, however implausible, and proceed to exhibit all the symptoms the clinician expects to see. Many conditions have made their way into the DSM and nearly none are later removed. Homosexuality was until recently listed as a mental illness, one believed to be amenable to treatment, in spite of the total absence of clinical evidence. Then a combination of research findings from fields other than psychology, and simple political pressure, resulted in the belated removal of homosexuality from psychology's official list of mental illnesses. Imagine a group of activists demanding that the concept of gravity be removed from physics. Then imagine physicists yielding to political pressure on a scientific issue. But in psychology, this is the norm, not the exception, and it is nearly always the case that the impetus for change comes from a field other than psychology. Since this article's first publication in 2003, I have been engaged in a running debate with psychologists about whether psychology can be fairly described as "scientific" using commonly accepted definitions of science. Many psychologists have argued that, because psychological research is carried out and published, and because that research meets many of the criteria describing valid scientific research, it therefore follows that psychology is itself scientific. Does research address and potentially falsify one or more core theories that define the field? Does research honor the null hypothesis? Does research have the potential to change how the field is practiced? Okay. I have created a scientifically valid statistical result in astrology, and the study turns out to have practical value in the daily activities of astrologers. Does this scientifically valid result make astrology itself scientific? No, of course not. Why? Because, regardless of its practical significance, my research doesn't address or potentially falsify the core theories of astrology. When psychologists perform research, some of the results pass muster as legitimate science, but unless those results address and potentially falsify the core theories of psychology, the research cannot confer a scientific status to psychology itself. To summarize, for criterion (A) to be satisfied, psychology must have a theoretical core of testable, falsifiable theories, and ongoing research must address and potentially falsify those theories. For reasons summarized elsewhere in this article, psychology isn't guided by a coherent, falsifiable system of theories, consequently research can't be focused on those theories, and it isn't possible to falsify a nonexistent or poorly expressed theory. One litmus test of this failing is that (unlike fields such as physics and medicine where practice is ruled by research) the practice of psychology (clinical psychology) is not measurably influenced by the theories of psychology. On this ground, psychology fails Point A. Does research honor the null hypothesis? The "null hypothesis" is a scientific precept that says assertions are assumed to be false unless and until there is evidence to support them. In scientific fields the null hypothesis serves as a threshold-setting device to prevent the waste of limited resources on speculations and hypotheses that are not supported by direct evidence or reasonable extrapolations from established theory. Does psychology meet this criterion? Well, to put it diplomatically, if psychiatrist John Mack of the Harvard Medical School can conduct a research program that takes alien abduction stories at face value, if clinical psychologists can appear as expert witnesses in criminal court to testify about nonexistent "recovered memories," only to see their clients vigorously deny and retract those "memories" later, if any imaginable therapeutic method can be put into practice without any preliminary evaluation or research, then no, the null hypothesis is not honored, and psychology fails Point B. Does research have the potential to change how the field is practiced? The answer to this question is entangled with point B above. If clinical psychologists won't honor the null hypothesis, if any idea can become clinical practice without a preliminary scientific evaluation for efficacy and safety, then psychological research can have no effect on clinical practice. In response to my claim that evidence-based practice is to date an unrealized idea, a psychologist recently replied that there is "practice-based evidence." Obviously this argument was offered in the heat of the moment and my correspondent could not have considered the implications of his remark. Practice-based evidence, to the degree that it exists, suffers from serious ethical and practical issues. It fails an obvious ethical standard — if the "evidence" is coincidental to therapy, a client will be unable to provide informed consent to be a research subject on the ground that neither he nor the therapist knows in advance that he will be a research subject. Let me add that a scenario like this would never be acceptable in mainstream medicine (not to claim that it never happens), but it is all too common in clinical psychology for research papers to exploit evidence drawn from therapeutic settings. As to the various clinical practices that have come and gone over the years, none of them arose from scientific research, to then make their way into clinics — so far, it has been the other way around, with researchers struggling to validate a clinical fait accompli. And psychological research, regardless of its merit, has no measurable effect on clinical practice. Therefore psychology fails Point C.
Let's compare the foregoing to physics, a field that perfectly exemplifies the interplay of scientific research and practice. When I use a GPS receiver to find my way across the landscape, every aspect of the experience is governed by rigorously tested physical theory. The semiconductor technology responsible for the receiver's integrated circuits obeys quantum theory and materials science. The mathematics used to reduce satellite radio signals to a terrestrial position honors Einstein's relativity theories (both of them, and for different reasons) as well as orbital mechanics. If any of these theories is not perfectly understood and taken into account, I won't be where the GPS receiver says I am, and that could easily have serious consequences. Because physical theories are rigorously tested and because the practice of physics honors the theories of physics, a gigantic airliner can approach a runway and land in conditions of zero visibility (a "Category III approach"), without significant risk to passenger safety. Public trust is well-placed in physics as a scientific discipline. New research findings that influence theory are immediately acted upon, and physical theory is modified according to the rules of scientific evidence. The result of a change in theory is that every activity remotely related to physics — civil, mechanical and electrical engineering, among others — is required to change its practice in step with new research findings, and a failure to take the theory of physics into account can easily end the career of someone engaged in the practice of physics. I offer this mini-essay and this comparison because most of my psychological correspondents have no idea what makes a field scientific. Many people believe that any field where science takes place is ipso facto scientific. But this is not true — there is more to science than outward appearances. The skeptical reader may wonder what psychologists and psychiatrists have to say about the scientific standing of their own field. As it turns out, the more perceptive among mental health professionals freely admit their field is not based in science. "The hope of a psychological science became indistinguishable from the fact of psychological science. The entire subsequent history of psychology can be seen as a ritualistic endeavor to emulate the forms of science in order to sustain the delusion that it already is a science." Koch's distinction between describing and explaining is crucial to the issue of scientific standing. It is a simple matter to describe something, and descriptions are often repeatable, but one cannot shape a scientific theory based only on description. For a scientific theory, one must try to craft an explanation of what has been described. With an explanation in hand, one can design an experiment to see if the explanation has general validity. And crucially, the existence of a testable explanation allows the possibility of falsification, the key property of all scientific theories. But as it is now constructed, psychology doesn't try to explain behavior, it is satisfied to collect descriptions of behavior. Those therapies that exist are meant to respond to descriptions, without ever taking the dangerous step of offering a testable, falsifiable explanation. Evidence-based practice in psychology (APA, 2005): "Some APA members have asked me why I have chosen to sponsor an APA Presidential Initiative on Evidence-Based Practice (EBP) in Psychology, expressing fears that the results might be used against psychologists by managed-care companies and malpractice lawyers." The rank and file are right, of course. Any effort to move clinical psychology toward an evidence-based model would expose what until now has been a well-kept secret — clinical psychology is not remotely evidence-based, relying instead on anecdotes, dubious extrapolations from animal research, poor-quality retrospective studies and simple belief. To publicly air these facts would trigger a number of legal and practical consequences that psychologists would be wise to avoid. And so far, they have — after a brief uproar in 2005, the APA proposal has been shelved. In his most revealing sentence, Dr. Levant says, "... psychology needs to define EBP in psychology or it will be defined for us." This acknowledges something that Levant emphasizes in his article — EBP is a proposal, a wish, not a reality. Scientific psychology lies in the future — at present, we only have the acronym. During the 2006 meeting of the American Psychological Association, psychiatrists admitted they have no scientific tests to prove mental illness and have no cures for these unproven mental illnesses (more here). I've always thought the first step to learning something new is to acknowledge one's own ignorance. It seems the professionals are willing to take this first step. At this point it must be clear to the intelligent reader that clinical psychology can make virtually any claim and offer any kind of therapy, because there is no practical likelihood of refutation – no clear criteria to invalidate a claim. This, in turn, is because human psychology is not a science, it is very largely a belief system similar to religion. Like religion, human psychology has a dark secret at its core – it contains within it a model for correct behavior, although that model is never directly acknowledged. Buried within psychology is a nebulous concept that, if it were to be addressed at all, would be called “normal behavior.” But do try to avoid inquiring directly into this normal behavior among psychologists – nothing is so certain to get you diagnosed as having an obsessive disorder. In the same way that everyone is a sinner in religion's metaphysical playground, everyone is mentally ill in psychology's long, dark hallway – no one is truly “normal.” This means everyone needs psychological treatment. This means psychologists and psychiatrists are guaranteed lifetime employment, although that must surely be a coincidence rather than a dark motive. But this avoids a more basic problem with the concept of “normal behavior.” The problem with establishing such a standard, whether one does this directly as religion does, or indirectly as psychology does, is that the activity confronts, and attempts to contradict, something that really is a scientific theory – evolution. In evolution, through the mechanism of natural selection, organisms adapt to the conditions of their environment, and, because the environment keeps changing, there is no particular genotype that can remain viable in the long term. The scientific evidence for evolution is very strong, and evolution's message is that only flexible and adaptable organisms survive in a world of constant change. Reduced to everyday, individual terms, it means no single behavioral pattern can for all time be branded “correct” or “normal.” This is the core reason religion fails to provide for real human needs (which wasn't its original purpose anyway), and this failing is shared by psychology – they both put forth a fixed behavioral model in a constantly changing world. The present atmosphere among many psychologists and psychiatrists can only be described as panic. This panic is clearly shown in the rapid, seemingly purposeful destruction of the DSM, the field's “bible,” as a legitimate diagnostic tool (because if everything is a mental illness, then nothing is). This panic arises in part from a slow realization that many conditions formerly thought to be mental conditions amenable to psychological treatment, turn out to be organic conditions treatable with drugs (or, like homosexuality, turn out to be conditions not appropriate to any kind of treatment). Further, many traditional clinical practices have been shown to be ineffectual and/or indistinguishable from ordinary experience or nothing at all. In the final analysis, the present state of psychology is the best answer to the original inquiry about whether it is scientific, because if human psychology were as grounded in science as many people believe, many of its historical and contemporary assertions would have been falsified by its own theoretical and clinical failures, and it would be either replaced by something more scientifically rigorous, or simply cast aside for now. But this is all hypothetical, because psychology and psychiatry have never been based in science, and therefore are free of the constraints placed on scientific theories. This means these fields will prevail far beyond their last shred of credibility, just as religions do, and they will be propelled by the same energy source — belief. That pure, old-fashioned fervent variety of belief, unsullied by reason or evidence. Head Case — Can psychiatry be a science? Therapists get 16 years, about the death of 10-year-old Candace Newmaker in "Rebirthing Therapy." House of Cards: Psychology and Psychotherapy Built on Myth, Robyn Dawes. Singer, Margaret Thaler and Janja Lalich. Crazy Therapies (San Francisco: Jossey-Bass, Inc., 1996). Review. Shane, Howard C. Facilitated Communication : The Clinical and Social Phenomenon (Singular Publishers Group, 1994).